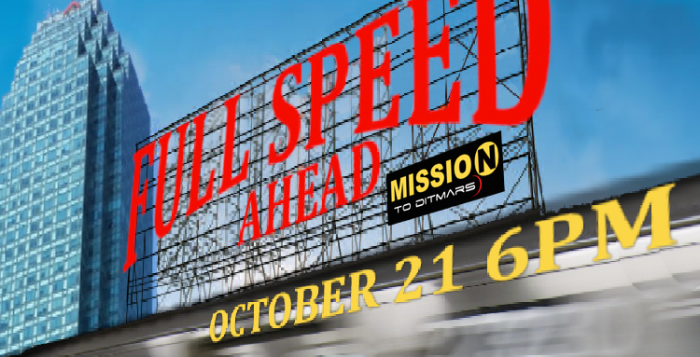 Home News Full Speed Ahead: Our first fundraiser ever! As we are going into our fourth (!) season, we continue to grow and expand as an organization. With that growth and expansion comes the need to raise some funds. For the past three years, we have been so fortunate to have most of our resources donated. As Queens becomes an artistic center, those free/cheap resources are becoming more scarce. We want to keep our programs FREE for artists and the community. So, we are pleased to announce we are holding our very first fundraiser – kindly hosted by our friends at Sek’end Sun! -Warp Speed Ahead ticket ($40 online, $45 at door, cash only) – 4 drink tickets and 10 raffle tickets! -Raffle and Support – $15 online – 5 raffle tickets and our heartfelt thanks! Drink tickets included in admission get you well drinks, beer and wine ALL NIGHT LONG! -Naming rights to a character in Kari Bentley-Quinn’s next play! Support ongoing arts in Queens by purchasing your ticket now!